We got this over Christmas. 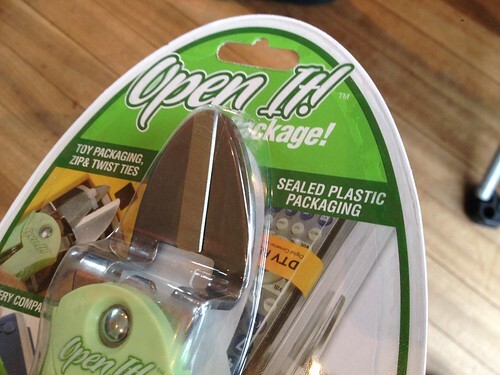 It's a handy little tool for opening that horrible sealed plastic packaging that's everywhere these days. I have seen life hacks where they recommend you do this with a tin opener, but this tool is better. It comes packaged in that horrible sealed plastic packaging. Something about the product is the service is the marketing and the form not following the function and packaging / marketing not understanding the product. A missed opportunity. The packaging is the marketing.